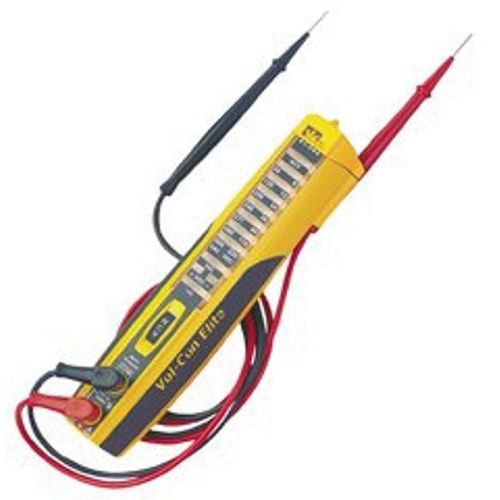 Ideal Industries Vol-Con® Elite voltage/continuity tester with shaker, tests maximum voltage rating of up to 600-Volt AC/200-Volt DC and minimum voltage rating of up to 24-Volt AC/6-Volt DC. It features non-contact voltage indication, audible and visual indication. Tester is UL listed, CE certified and CAT III - 1000-Volts safety rated. * Inventory displayed is accurate as of 04/25/2019 10:40 EDT.